Both as individuals and together we seek to love and serve our community and the wider world. With this in mind we at Christ the King have a fellowship of charities and organisations that we regularly aid. We aid these groups both in financial support (tithing); directly from the Church or via fundraising. We also assist spiritually through prayer and practically through volunteering where possible. Crisis Centre Ministries is a Christian charity that has been working in Bristol for over 30 years, dedicated to helping those with life disrupting problems, such as homelessness and addiction, to enjoy a healthy independant life. 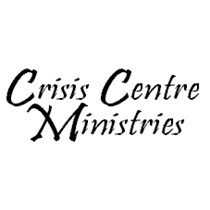 Crisis Centre Ministries is rooted in the Christian faith. God commands his followers to love him, love our fellow neighbours and to help those less fortunate than ourselves. We believe in loving people as God loves them and our practical work is an expression of the love that God has for every human being. Most of our staff and volunteers belong to local churches and would identify themselves as Christians. Our funding comes primarily from gifts and donation from individuals, churches and trusts who support the work we do. If you wish to contribute, please bring foods with at least a 3 month shelf life. For the Crisis Centre, we are mainly collecting tins of baked beans, coffee and sugar, but any dried pasta or rice would also be welcomed. Jimmy and Katia are currently preparing to work with the church in Brazil with CMS (Church Mission Society). The Anglican (Episcopal) church in Brazil is relatively small and short of resources. It occupies an important place in between the Roman Catholic Church and a multitude of large Pentecostal denominations that have minimal theological training. The bishops are hoping to expand and plant many new congregations throughout this vast country and would like more mission partners to help them. Each year, Samaritan’s Purse delivers millions of gift-filled shoe boxes to boys and girls all over the world. 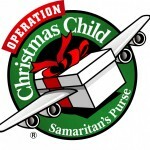 A gift to Operation Christmas Child helps cover processing and shipping expenses and allows our teams to share the Good News of Jesus Christ with children and their families. When a community lifts itself out of poverty, everything changes. Poverty does more than exhaust, starve, trap and kill people. It destroys their sense of worth, limits their horizons, robs people of the chance to reach their full potential. Tearfund’s call is to follow Jesus where the need is greatest. We long for new life and a new sense of worth for people. We do whatever it takes to end poverty and rebuild poor communities. We work through local churches, because they’re Jesus’ body on earth, ready to care for the whole person – and the whole community – inside and out. 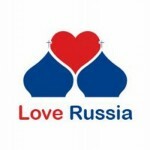 Since 1993, Love Russia has been reaching out to help abandoned and desperately poor people. Our work focuses on orphans and social orphans; children who’ve been abandoned because of poverty, addiction, abuse and other traumas or the death of a parent.